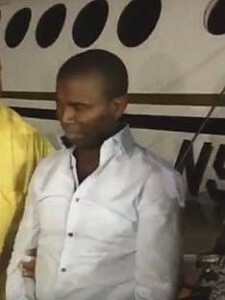 PORT AU PRINCE - Missionaries and foreign workers, mostly American, from an orphanage in southern Haiti, were attacked by unidentified individuals, supporters of elected Senator Guy Phillipe, who was arrested and extradited to the United States on January 5 to face US federal charges of cocaine trafficking and money laundering between 1997 and 2003. Protestors burned the homes of American missionaries, chanting death threats. The Americans had their lives saved thanks to the intervention of the authorities, HaitiLibre reported. The situation in the South of the country remains very tense, which has forced the deployment of special brigades of the Haitian National Police (PNH) from Port-au-Prince, the municipal authorities in the relevant departments, not having enough staff to protect in the long term the persons concerned. Since Friday, the day after Philippe’s arrest and extradition, the PNH had to evacuate more than 50 US citizens to secure them in safer places in Haiti, according to the police commissioner in Grand'Anse Berson Soljour. More Americans are in the country to help the population following the passage of Hurricane Matthew, so the commissioner advised American citizens who choose to stay, not to leave their residences. He explained that US citizens were evacuated to a police station before being transferred to a United Nations base, where they waited to be transported to Port-au-Prince, others are still waiting. According to unconfirmed police sources, Philippe’s supporters allegedly attacked two American citizens who ran an orphanage and stole their passports and other property from their homes. "There are partisan groups of Guy Philippe who actively seek to attack or capture American citizens following the arrest and extradition of their leader," said Soljour, who also reported street clashes between Philippe partisans and political opponents. Two police vehicles were burned and several police stations attacked, forcing officers to flee the area. Karl Adam, a spokesman for the US embassy in Port-au-Prince, said the US embassy was aware of the threats and had sent messages to US citizens advising them to avoid certain areas and to be particularly cautious, stressing, "I know that some have decided to leave but it is not something that the Embassy organizes." Meanwhile, information is circulating that Philippe’s lawyer, Richard Dansohva, may attempt at the arraignment hearing in Miami on Thursday to invoke the immunity purportedly enjoyed by his client as an elected senator, notwithstanding that he has not yet been sworn in as such.